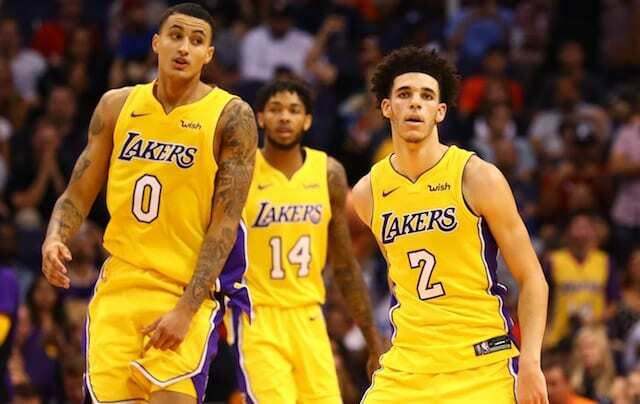 After managing to get out from under Jordan Clarkson’s and Larry Nance Jr.’s contracts at the trade deadline this past season, the Los Angeles Lakers officially were in strong position to pursue two max-level free agents. 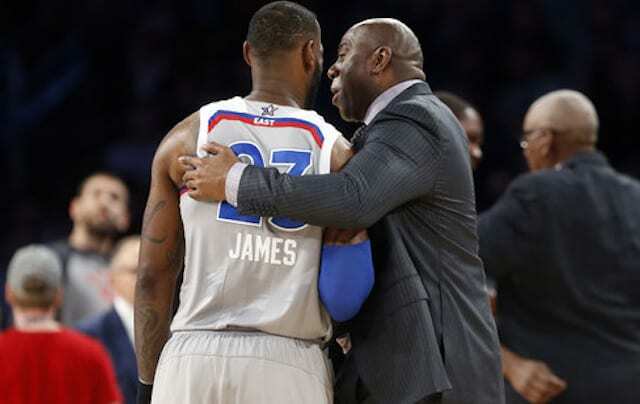 While they couldn’t publicly comment on the matter, president of basketball operations Magic Johnson and general manager Rob Pelinka were believed to have LeBron James and Paul George, in that order, atop their free agency wish list. The Lakers were immediately spurned by George as he didn’t so much as take a meeting with his hometown team before re-signing with the Oklahoma City Thunder. Johnson’s account corroborates a previous report that pointed to his meeting with the 14-time All-Star as one that sealed his commitment to the Lakers. Some, including Jerry West, weren’t impressed by the Lakers signing James to a four-year contract. There’s a belief that he was set on moving to Los Angeles, and the Lakers simply needed to avoided getting in their own way in order to sign him. Regardless of the viewpoint, James signing with the Lakers was a watershed moment that the franchise had otherwise been missing out on the last handful of years.